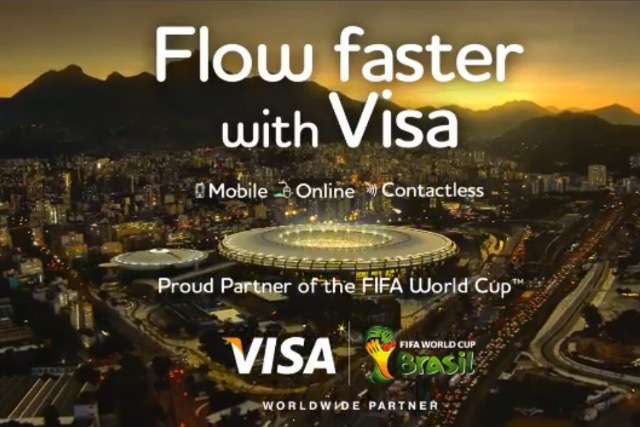 Visa has become the latest Fifa partner to speak out against the football body, which is embroiled in a corruption scandal over awarding the 2018 and 2022 World Cups to Russia and Qatar respectively. The credit-card brand, which earlier this year extended its Fifa partnership until 2022, has said it was "troubled by the recent events" and is "demanding greater transparency and more open, forthright communications" from the international football governing body. In a statement, Visa said: "It is our expectation that FIFA will act accordingly and take swift action to resolve these issues in a manner that is meaningful and visible to all." This is far from the first time that Visa has expressed its discomfort with Fifa’s alleged corrupt practices, after voicing concerns this summer over Fifa awarding the 2022 World Cup to Qatar; while In 2011, it spoke out against the governing body, which was facing separate accusations of bribery at the time. Earlier this week, it was reported that Sony was cutting ties with Fifa at the end of 2014, with no plans to extend its eight-year sponsorship, which was understood worth around 33bn yen (£178m). Fifa recently investigated the bidding process that awarded the 2018 and 2022 World Cups to Russia and Qatar respectively, after allegations of corruption in The Sunday Times. Though the report has not been published in full for legal reasons, Fifa has cleared Russia and Qatar of any wrongdoing. But the body was plunged into further crisis after lead investigator Michael Garcia disowned the initial summary, claiming it misled his findings. The report is set to undergo further scrutiny by the chairman of Fifa's audit and compliance committee, Domenico Scala. In addition to Visa and Sony, Fifa’s official partners which sponsored the 2014 World Cup are Coca-Cola, Emirates, Visa, Kia-Hyundai and Adidas. Sponsor Coca-Cola also slammed the investigation this week, describing the confusion as "disappointing".